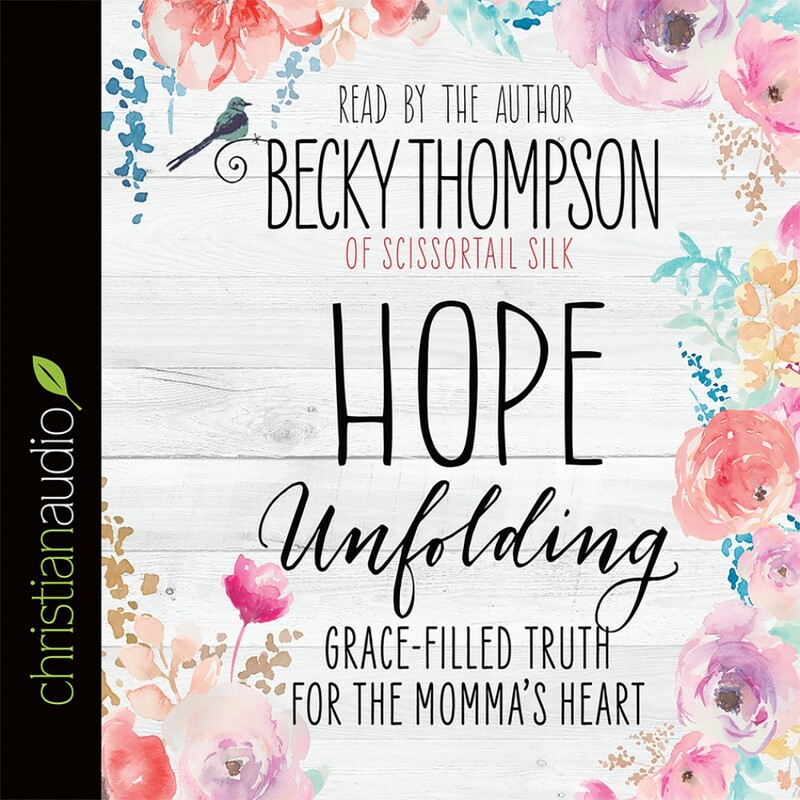 Hope Unfolding by Becky Thompson Audiobook Download - Christian audiobooks. Try us free. God’s love, plans, and promises for you are forever unfolding. I get it, Momma. I totally get it. Every day you wake up and try your very best. You love, give, and pour out your life for the ones who call you Momma. But no matter how much you offer, there are still days you feel as though you come up short. You worry, Am I loving these babies enough? Is this ever going to get easier? Why does it seem like I am the only one who cannot balance it all? Sometimes, we just need hope (and maybe a long uninterrupted nap). We need someone to help tune our hearts to the voice of the Father and to remind us that He has not forgotten about us. In Hope Unfolding, Becky Thompson is a friend who reminds you that you aren’t alone, and that God is still writing your story. She guides you to encounter the Truth of God’s presence that not only fuels you with strength, but also a fresh confidence. And beyond gaining faith that tomorrow could be different, you find hope and purpose where you are standing today.